I think it's time for new jewelry tutorials! We haven't had those in a while. 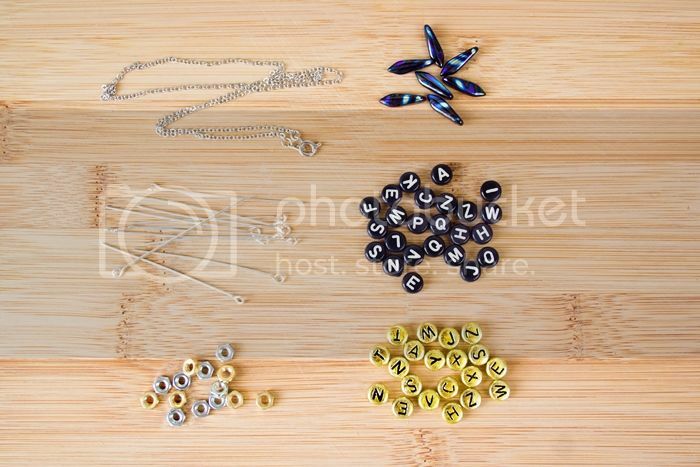 Today, we're teaming up with pandahall.com to show you how you can use alphabet beads to make cute personalized necklaces that can spell out anything from your favorite food to your name or the name of your favorite band. 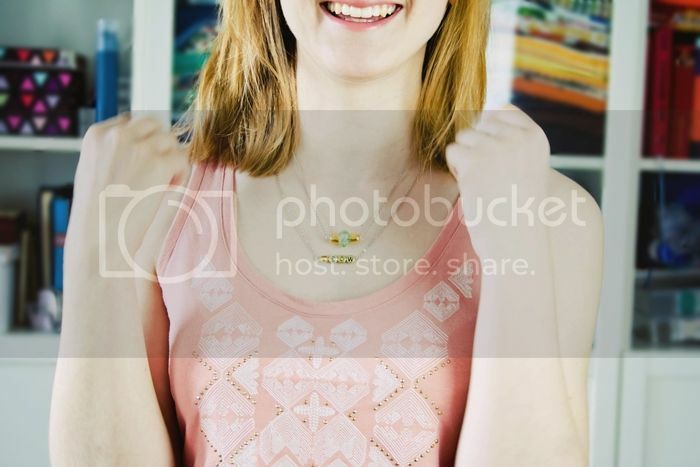 I always feel like I need to stack up on necklaces every year around this time, when it's too warm for scarves and my neck looks strangely empty. Anyone else know that feeling? eyepins - the ones I used are 5cm long and hold up to 5 alphabet beads. For longer words use longer eyepins. 1. String the alphabet beads and any other beads onto an eyepin. Make sure there are about 2cm left at the end to create a second eye. Need inspiration? 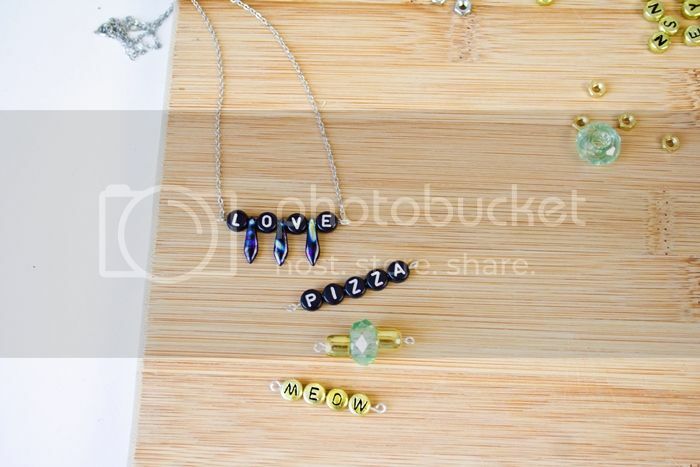 How about: hope, love, rain, dream, diy, bff, pizza, cake, hello, roar, meow, cool, fancy, wow, yeah, xoxo, brave, tgif, smile ...? 2. Make a second eye at the end of the pin. It's not that complicated but I would advise you to practice it a few times beforehand. To make an eye, grip the pin with the chain nose pliers right behind the last bead and bend the remaining pin into an 45° angle. Now make a loop with the round nose pliers until the end of the pin points downwards, cut away the excess wire using the sidecutter and maybe correct slightly with the chain nose pliers again. Here's also a nice video tutorial. 3. 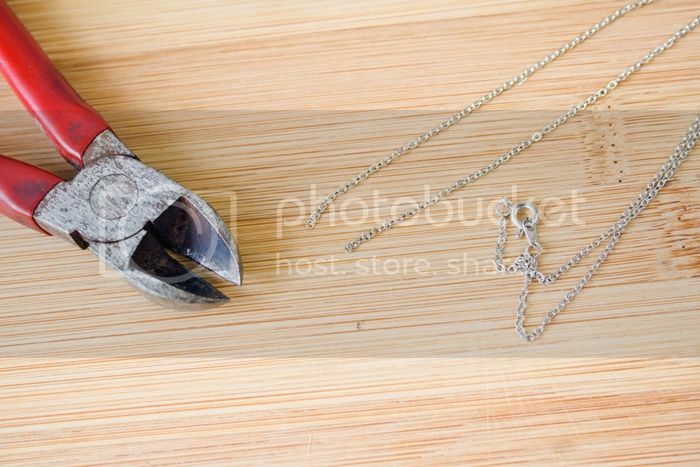 Pick the chain up, that you want to use and cut it open at the exact opposite of the clasp. Use the sidecutter for that. The necklace has now two ends. String the last loop of each end onto an eye of the eyepin. 4. Start over and make another! 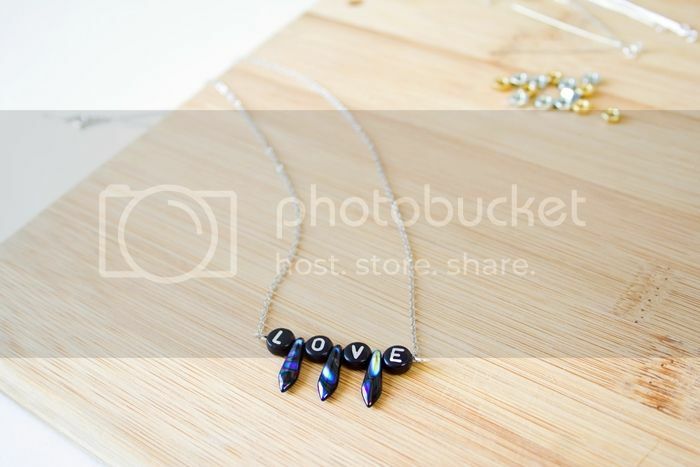 The alphabet necklaces look great alone and layered. 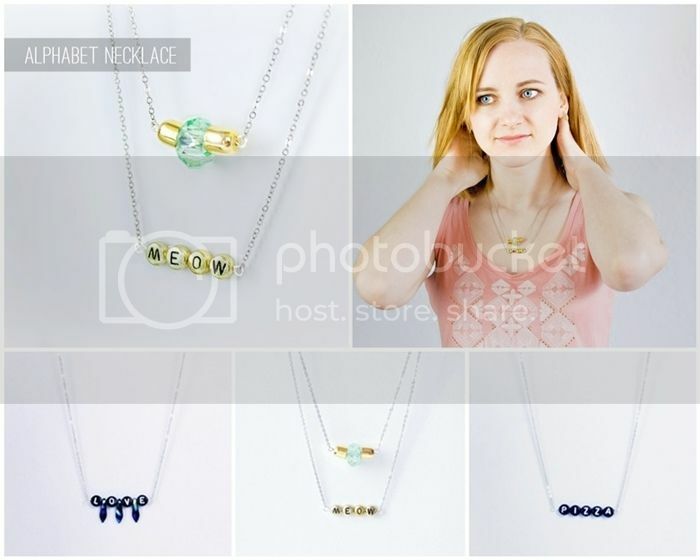 Try out a few combinations with your existing necklaces ore make new ones to accompany them. For the one with the meow necklace I just put two end caps with a large bead in between onto an eyepin. Easy peasy.